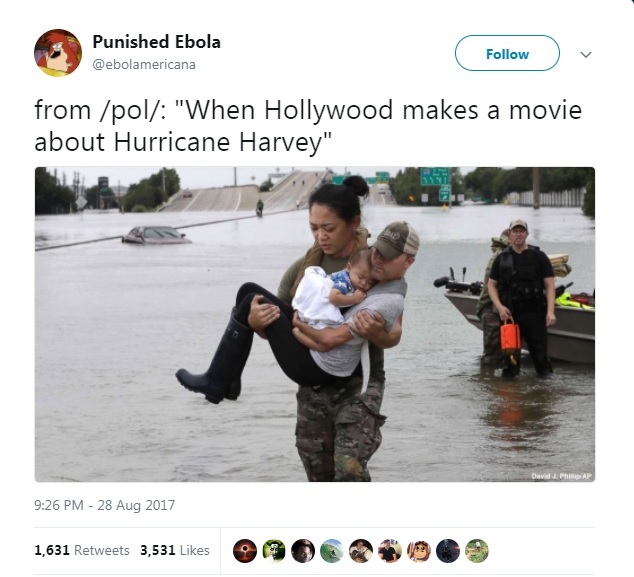 Liberal Slate writer Katy Waldman wants everyone to know the the viral images you're seeing out of Houston do not showcase "America at its best." 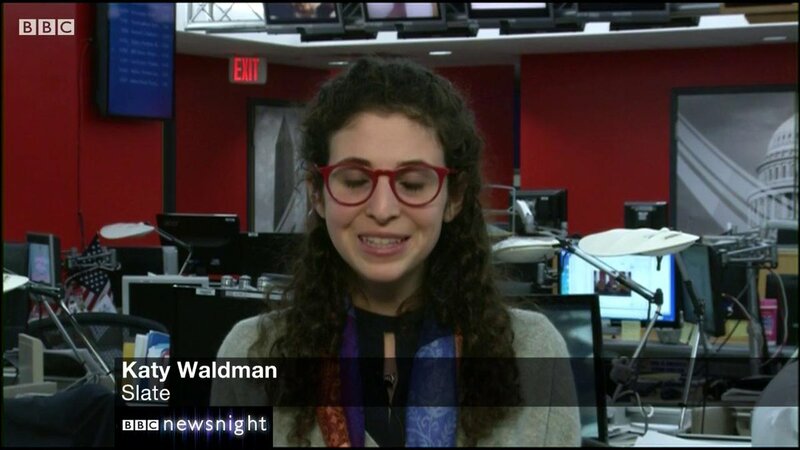 A triggered Waldman shared the hot take in her latest column, "Houston Doesn't Showcase 'America At Its Best.'" With the debilitating rain in Houston fell a rain of inspiriting images. 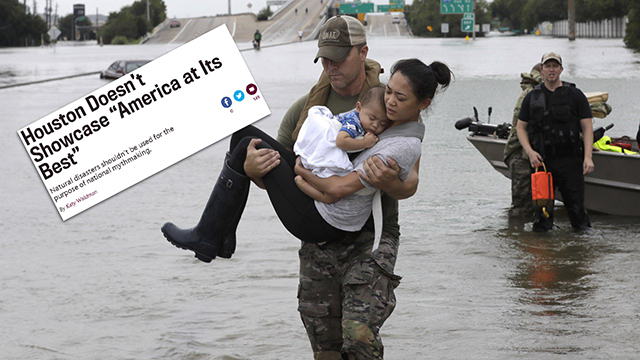 Everywhere on Twitter, in the papers, in internet slideshows, we saw Texans improvising rescue canoes and gathering scared dogs in their arms, bearing them away to safety. First responders waded into the water-choked arteries of the city and dragged people out of cars. Uniformed men hoisted grandmothers on their backs (like Jason fording the river with the goddess Hera on his shoulders) while, elsewhere in the country, beer companies filled cans with fresh water and celebrities spearheaded donation drives. ...[Their] findings put a frame around the cooperative society that has lately emerged in Houston: It is a beautiful anomaly, a liquid note of silver momentarily liberated from its sheath of rust. Deeply profound stuff, thanks Katy. After receiving backlash on Twitter, Slate eventually deleted their Tweet linking to the article and quietly changed the article's headline to, "Why It's Misleading to Say That Houston Showcases "America at Its Best.'" They did not change any of the article's terrible content.